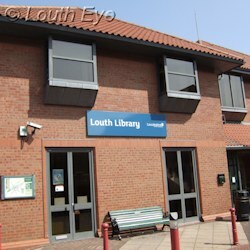 On Monday, 9th September there was an extraordinary meeting of the Louth Area Committee at the Conoco Room, to discuss proposed changes to the library service in Lincolnshire. These proposals could result in the closure of two thirds of the county's branch libraries, and reductions to many of the mobile services for villages. Jonathan Platt, head of libraries and heritage at LCC, attended and gave a presentation outlining what the proposals are, and the County Council's reasoning. Paul Stainthorpe, on behalf of the Save Lincolnshire Libraries campaign, outlined the criticisms of these plans. I'm not going to summarise these presentations in their entirety, since a lot of it has already been said here and elsewhere, but the discussion did bring up some new things. Mr Stainthorpe questioned the provision of support for people using computers, some of whom won't have English as a first language. He also criticised the council's report for being "reactive and not the slightest bit proactive," and failing to focus on growing the numbers of people who use libraries. I had questions about the county council finances, particularly over the library support services. These are part of the overall library budget, but they're distinct from the front-line budget for things such as books, library staff, or buildings. In Lincolnshire spending on support services is considerably higher than other comparable local authorities, but I've found it hard to figure out why this is so, or even what exactly these services consist of. I'm paraphrasing Jonathan Platt's explanation, but the gist was that not every local authority accounts for things in the same way, that each department has had to make savings already, so what looked like a lot of money to save may not be the case. Incidentally, I'm awaiting a Freedom Of Information request into the details of this support spending, so hopefully I'll have more to share on this in future. Lesley Hough criticised the way these plans could cut off some people. "How is this going to be a comprehensive offer?" she asked. "We could end up with more static libraries than we started with," Jonathan Platt replied. Mr Platt was basing that statement on the possibility of volunteer-run libraries opening, but that concept came in for a lot of criticism. Councillor Sarah Dodds, who chaired the meeting, asked "How are you going to assess the sustainability of these [volunteer-run libraries]?" Alan Grantham asked about case studies of other volunteer-run libraries. 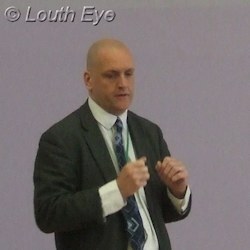 Mr Platt spoke about authorities such as Cambridgeshire and North Yorkshire. "They are about a year to 18 months ahead of us. In heritage the vast majority of museums are operated by volunteers." A member of the public asked "How many volunteers? How many staff are they replacing?" Mr Platt said "We would need 128 staff." Speaking of both heritage and libraries, he explained "We have about 750 people who volunteer. Some are working in libraries." However, he wouldn't be drawn on numbers of volunteers for libraries, admitting "I don't have a target figure in mind." A member of the public described her experiences with the Manby-Grimoldby village hall. "My village hall has enormous difficulties getting volunteers." Councillor Laura Stephenson expanded on this theme. "People who are unemployed can not volunteer for a job that people are getting paid for in another area," she said. Councillor Stephenson also compared the graph of computer usage with the timing of Labour's distribution of free laptops. "The people who can't afford a computer are the people using the computers in the libraries." Councillor Pauline Watson said "There's a big change in learning because of academies." She spoke about the changes to school libraries. "There needs to be somewhere where kids can go and study," she said. "Schools are not part of our statutory requirement," Mr Platt responded. "It seems there's a great danger that this is going to be the forgotten consultation," Councillor Neil Ward said, and he went on to criticise the way the consultation had been carried out. Mr Platt said that they had got about 3000 of the consultation forms returned. Councillor Sue Locking was another person who expressed some concerns about volunteers. She also criticised the figures for funding community libraries. Mr Platt defended the figures, pointing out that some of it would be capital funding, and therefore "a one-off expenditure." "If you provide volunteers with anything you have to employ them," Councillor David Hall asked. "How are you going to get around that?" Mr Platt responded that they'd had "no problems with employment law." Councillor John Hough was very critical of "a belief that anyone in this room can operate a library. It is just absolutely appalling. LCC did exactly the same with the youth service." Councillor Hough was also clear that the library budget is still up for debate. "It is not set in stone," he said. "You do have flexibility and you do have choice." He spoke of communities around Louth which would be deprived of their library services, such as Legbourne, Little Cawthorpe and Tathwell. And he also talked about that magic feeling that children experience when going to the library for the first time and seeing the range of books on offer. "This whole thing should be taken back and looked at again. You're depriving 218 places of their magic." This speech, predictably, drew applause. Councillor Jill Makinson-Sanders sounded a different note. "Libraries are changing. I think people will read differently in future." I agree that some people with money will undoubtedly read differently, and will use the internet and ereaders to a greater extent, because they can afford to buy that kind of technology. The wealthy also rarely have to suffer the scarcity of public transport in this county, as evidenced by Councillor Nick Worth's notorious "three cars" statement earlier in the year. But rich, mobile, and technologically-literate people should not be our concern here. Those who are struggling to get by are exactly the people who will be hardest hit, and if these cuts go ahead as planned they will be yet another barrier to social mobility.